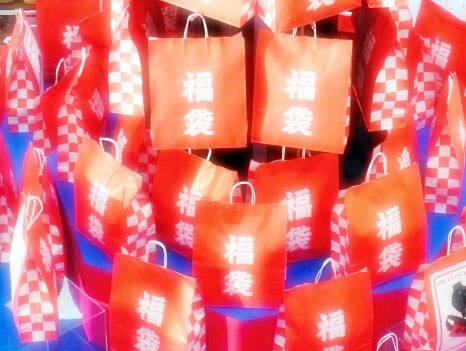 Lucky Bag is a Japanese business method in which many retailers such as department stores and clothing stores provide customers with more valuable goods at more affordable prices than usual. They are normally provided to gather people's attention during the San-ga-nichi holidays (refer to #080). 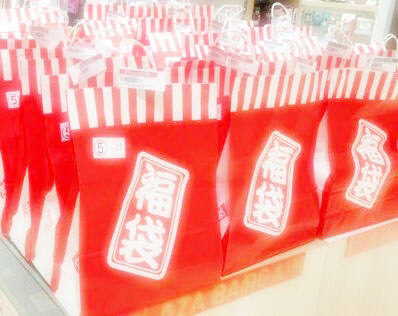 Lucky Bag is also called "Fuku-bukuro" in Japanese. "Fuku" in "Fuku-bukuro" means "good luck" or "lucky" in English and "bukuro" is another pronunciation of the word "fukuro (meaning bag)".